What a week, and it’s only Thursday. I’m going to stand on my pork barrel in the town square and rant for a just few lines because I can. I am just amazed at the level of division and dissension being expressed in this year’s politics & election cycle. The negative campaigning along with the total and complete lack of any real effective and moderate policy positions that the majority of the population can support and get behind is mind numbing. I feel like I’m listening to Charlie Brown’s teacher speak at debate after debate. Wa wa waa wa waa. Lots of talk and very little of consequence actually said. Reality TV has invaded politics, except that opposed to reality TV, real decisions that impact real people and have real potential to spiral out of control quickly are being made by real self-interested spin doctors who are really most concerned about themselves. The bizarre political events of the four stooges running for the highest office in the US, and the total disconnect of the Brazilian politicians from their constituents as the desperately cling to power (and the ubiquitous $) is staaaaaaggering. It’s like a bad dream from Ground Hog Day. Bang the alarm clock, sit up and it’s the same thing as the day before. No wonder people are taking to the streets in protest. We should be! A great man once wrote “government of the people, by the people, for the people shall not perish from the earth.” It seems like a large percentage of our elected officials have forgotten these powerful truths because it’s almost impossible to recognize today. History is full of political clowns, but it seems we have a three ring circus that is challenging the men and women of great nations across the globe who stand for common sense, common honesty and common decency to stand up and demand a return to accountability, progress and diplomacy. My 2 cents, and I feel much better for having gotten that off my chest. Now back to our regularly scheduled broadcast! No matter how high my opinion of Brazil seems to be, there’s always an overpaid analyst who disagrees with me. People without boots on the ground (like me) really have no idea what’s going on in Brazil. Luckily, the savvy businessmen of Asia are here to vindicate me. Samsung’s myriad subsidiaries add up to create one of the world’s most far-reaching and powerful businesses. 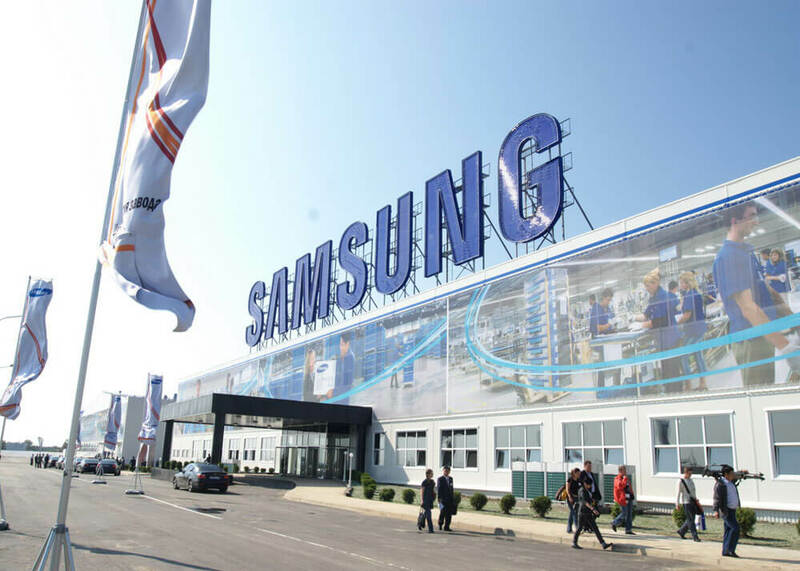 The Korean company dominates industries worldwide from shipbuilding to textiles, but its electronics branch is Samsung’s most active participant in the Brazilian economy. Samsung Electronics competes worldwide using different strategies, from its affordable phone offerings in China and India to its premium models in the USA. Its Brazilian efforts have doubled down on the premium approach, where Samsung is attempting to corner the market on Brazil’s booming demand for smartphones. Those outside of Brazil and Japan might be surprised to discover that Toyota’s Sao Bernardo do Campo plant was the company’s first to be built outside of Japan. Since its inception in 1958, Toyota has opened three more factories in Sao Paulo, where they manufacture their Corolla, Hilux and Etios models. Toyota’s Brazilian production and sales have ramped up dramatically over the last few years, and Brazil is fast becoming one of their prime markets. Honda’s entire South American operation is headquartered in Brazil, and the Japanese carmaker has a serious presence in the country. From its multiple installations in Brazil, Honda manufactures cars, motorcycles and parts for distribution all across the continent. Besides automobile production, Honda Brazil also conducts research into power generation through one of its many subsidiaries. On top of that, Honda’s Sao Paulo location is responsible for cutting-edge R&D into future car and motorcycle designs for Latin America and beyond. Novelis is a subsidiary of the Indian Aditya Birla group, and produces rolled aluminum used in industries like construction, cars and electronics, to name a few. Novelis’ Sao Paulo office is Aditya’s South American HQ, and oversees three manufacturing plants in Brazil. On top of that, Brazil also happens to be one of Novelis’ global hubs, a cornerstone of their worldwide operations. In Brazil, Novelis is primarily concerned with the production of beverage cans and industrial foil, as well as metals recycling. Korea’s LG operates a sprawling, 17 million square foot plant in Taubate, where they assemble computers, TVs and cell phones for Brazilian consumers. Evolving from its past budget offerings, LG has begun catering to upscale Brazilian consumers using everything from ultra high-definition televisions to top-of-the-line smartphones. On the whole, LG’s South American operations are booming, and Brazil’s economy is playing a huge role in their overseas expansion. Tata is an Indian consulting giant, and they’ve made big inroads to the Brazilian market in recent years. Tata works closely with both Brazilian and multinational companies, from Santander to Oi-Brasil Telecom to Vale. TCS’ Brazilian center of operations is based in Sao Paulo and employs roughly 700 people, where they focus on a wide range of fields like IT consulting, software production and IT outsourcing, to name a few. Tata also consistently ranks among Brazil’s top 10 IT services. Baidu—China’s answer to Google—is poised for massive expansion into other emerging markets around the world. The Chinese company recently acquired Peixe Urbano, its first major foothold in the Brazilian market. From there, Baidu aims to carve out a piece of Brazil’s rapidly expanding market for mobile products, a niche they’ve already dominated around the world with more than 700 million product users globally. Lenovo is one of China’s biggest success stories and conducts business in 160 countries. Brazil is home to one of Lenovo’s cornerstone operations, where the company recently acquired the local company Digibras. In Brazil, Lenovo focuses on software and services, but still utilizes its previously constructed factory and Digibras’ CCE brand to market quality, affordable electronics to the Brazilian people—including smartphones, computers and wearable electronics. The Japanese beermaker expanded in Brazil with a brewery in Itu just a couple years ago, broadening its internationally successful brand of Kirin Ichiban to thirsty Brazilians across the country. Production in Itu gives Kirin has complete control over distribution of its product to grocery stores, bars and general stores all over Brazil, and proves Brazil has a sizable and growing market for more premium beer. Sun Pharma’s business in Brazil is a two-pronged approach, focusing both on retail pharmacies and medications for hospitals and institutional settings. Sun’s product portfolio is one of the most extensive in Brazil, even offering one of the most comprehensive and diverse ranges of pharmaceuticals in Latin America. The Indian company’s Brazilian operation and manufacturing plant are headquartered in Goiania, and also runs a customer service branch in Rio de Janeiro. Asia’s business dealings in Brazil are in stark comparison to Europe’s, with the latter concerned primarily with oil and gas extraction, and the former setting up research and development outposts for their burgeoning high-tech industries. Looking at the big picture, we can see just how diverse and bottomless the Brazilian market really is—titans of industry from mineral extraction, petroleum refinement, pharmaceutical development and electronics manufacturing from Europe and Asia, combined with the massive array of US companies doing business here paint an optimistic picture of the country’s future. That is, unless you’re a naysayer getting paid for doom-and-gloom economic prognostications. Here, we like the truth. And the truth is, NOW is the time to get into Brazil. As always, thanks for reading and send along any comments or suggestions. Have a great day.